Different Worlds is finally here! This tie-in novella (that, at 45,000 words, is practically a novel in itself…) is the sort-of-second-but-not-actually book in the Iamos Trilogy, and takes place during the events of Fourth World, telling the story of what happened to Henry, Tamara, Scylla, and the others left behind after Isaak disappeared. I’m so excited that this book, which is so close to my heart, is finally out in the world! I came up with this story pretty much simultaneously to Fourth World (with the naive belief that I could tell it in short story form XD), so I’ve been waiting to tell it since 2013. Henry and Tamara are my dear babies :’) so I’m so happy that I was finally able to tell their story. 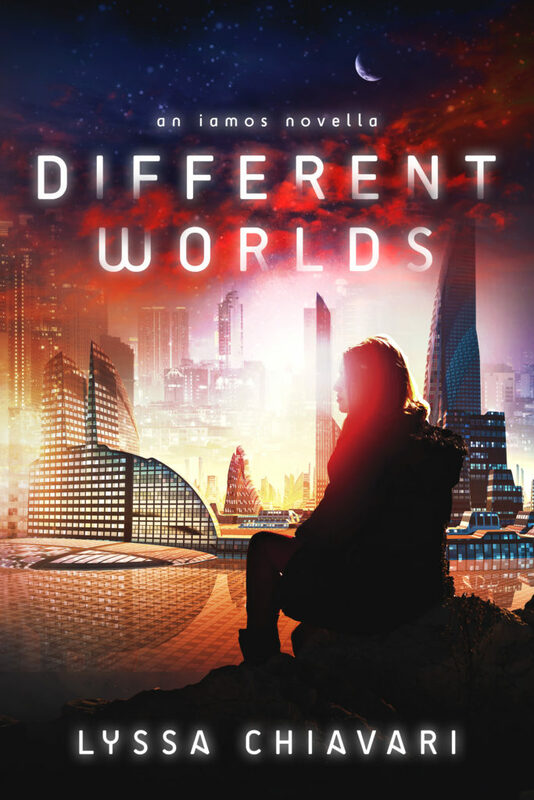 Different Worlds is available now! To celebrate the release of the second-but-not-actually book in the series, Fourth World, Book 1 of the Iamos Trilogy, is also available for just $0.99 pretty much everywhere (it’s still $2.99 at iBooks right now, but the price should go down any time now…) for the next few weeks! So if you’ve been wanting to pick up a copy, now’s your chance! Now that Different Worlds is out, it’s time for me to start focusing on the next book in the series, Actual Book Two, New World. I’m cautiously optimistic that that one won’t take as long as Different Worlds did, but I’m sure some sort of life crisis will interfere with that. XD Look forward to that book coming out in 2017—hopefully earlier rather than later!